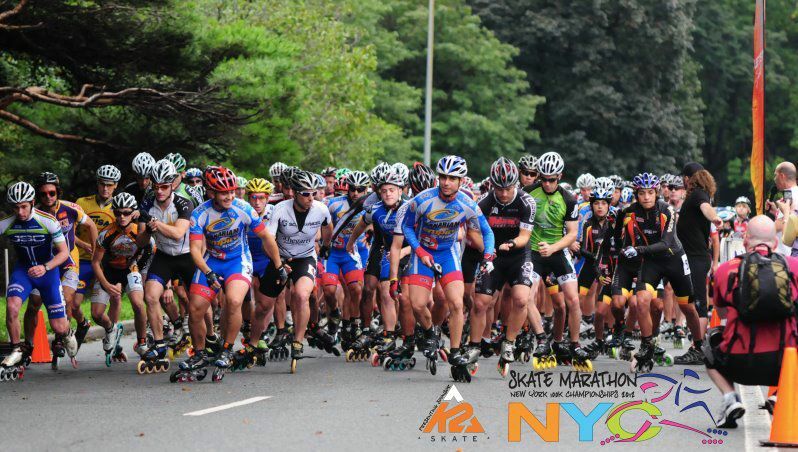 MPC Wheels presents: The NYC Skate Marathon & New York 100K 2017 The only skate marathon in New York City. On-site registration opens at 5:00AM and closes at 6:45AM sharp. Event will start at 7:00AM even if you are standing at the registration table, so please plan accordingly! We strongly recommend that you register in advance. Beautiful Prospect Park in Brooklyn provides a wonderful traffic free route. Coming Back for 2018 are the Relay races. 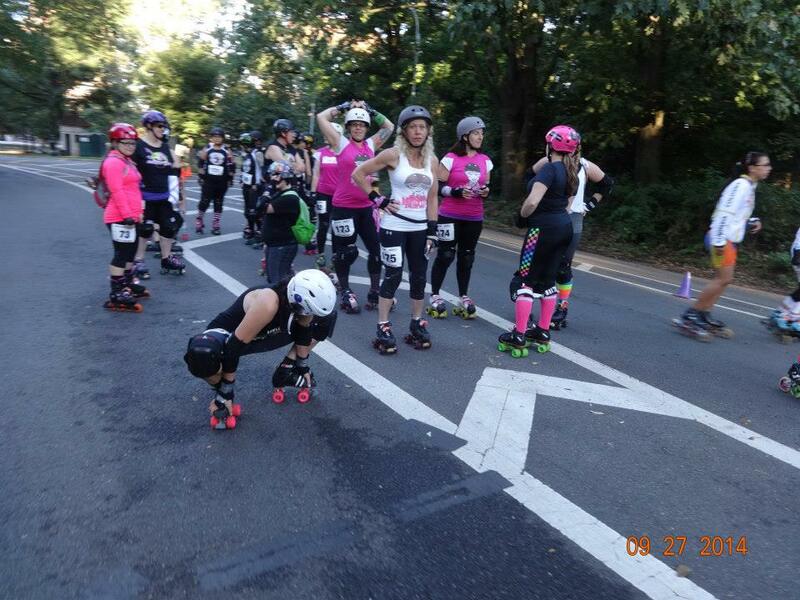 It is an exiting Quad Roller Derby Team Relay Race. -Who can sign up for this event? Anyone with Quad skates and a liking for Roller Derby! Yes Co-ed teams are welcome. 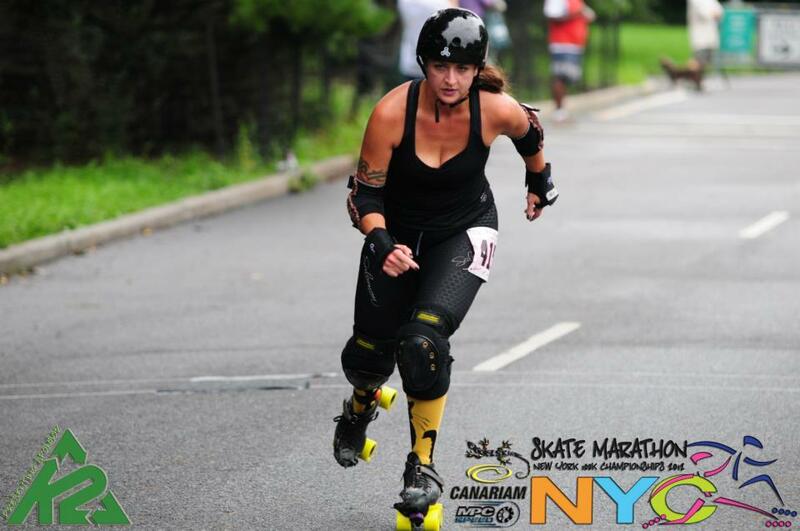 -Will my derby challenge team get a free event Hoodie? - Can quad teams compete on the 100K race? Unfortunately not. We have a time limit of 4 hours to finish our races. 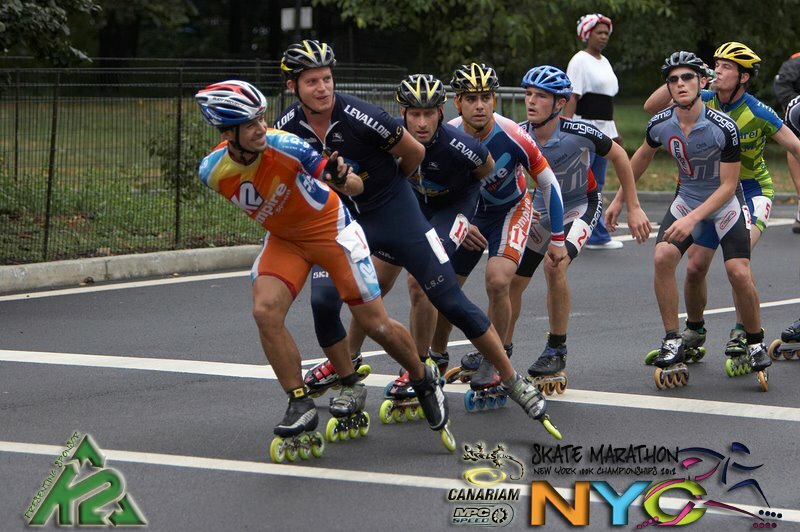 We believe that this is not enough time to complete the 100K race in quad skates. So quads can only compete up to 42K individual or in teams. Thanks for understanding. -Can we have more information on this event? 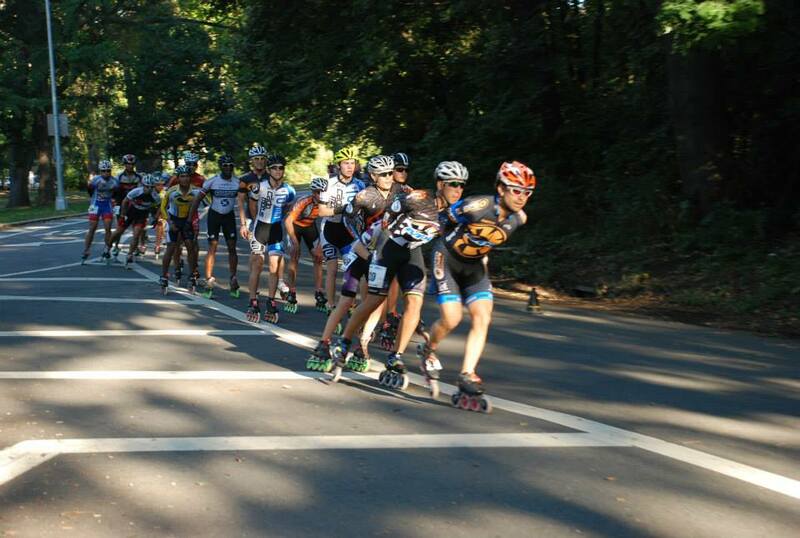 It is an exiting inline Team Relay Race. 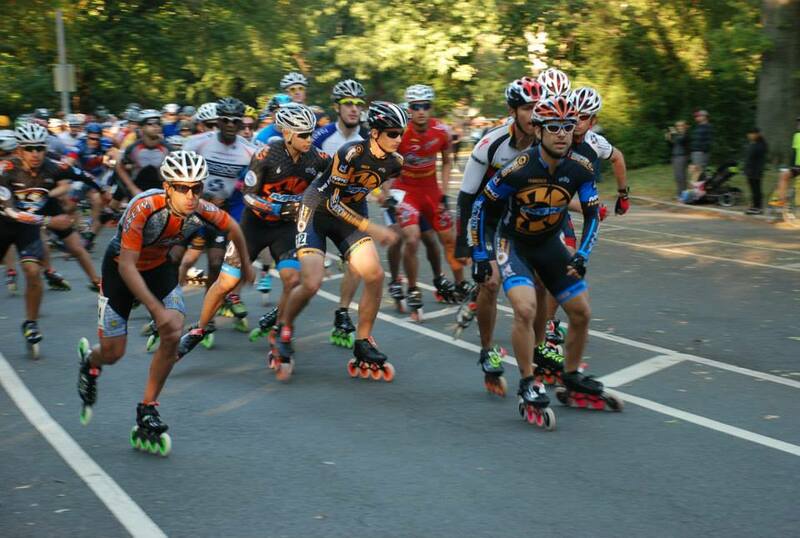 A minimum of at least 2 skaters & maximum of 8 skaters can take place on this exiting event. 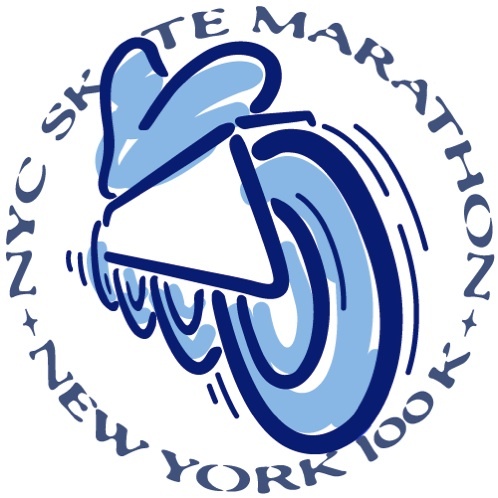 Each skater will skate for one lap on teams of 8 people, or at least one lap per skater on teams having less than 8 people. (teams with two people can choose to skate 3 and 5 laps per skater for example) then give the relay flag to their partner to complete another lap; for the most team laps. The team with the most laps wins! 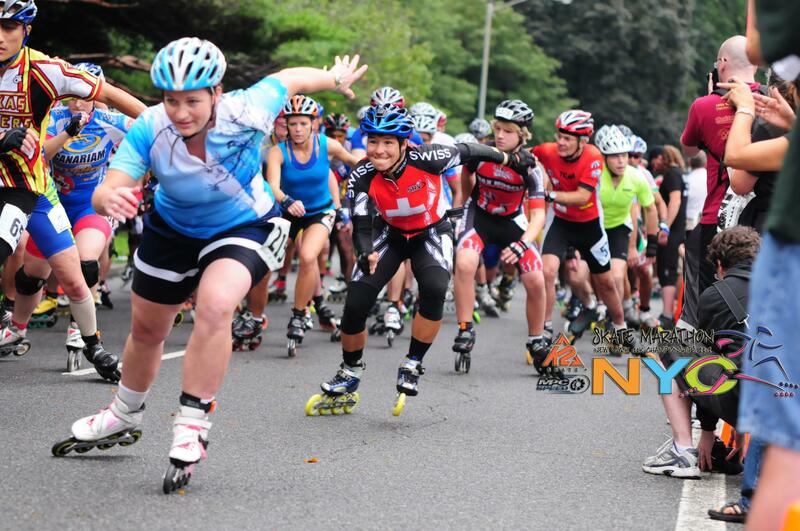 Anyone with Inline skates and a liking for adventure! May 1, June 1, August 1, September 1 and On Tuesday SEPTEMBER 18, 2018 ONLINE REG. CLOSES! THERE WILL BE DAY OF THE EVENT REGISTRATION AT A MUCH HIGHER COST SO PLEASE PLAN ACCORDINGLY! REGISTER EARLY TO GET THE BIGGEST SAVINGS! On-site Registration & Check-in: 5:00-6:45am. Rain or Shine. Saturday 7:00AM Start for all racers at once! 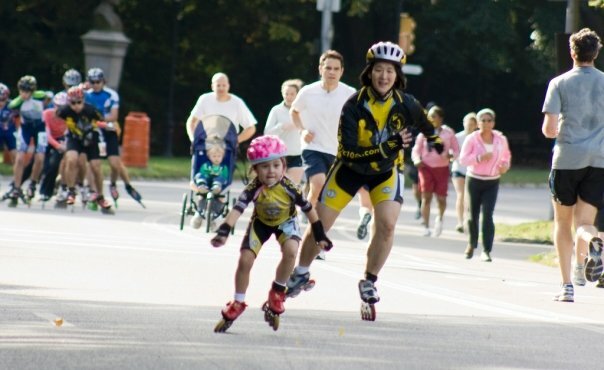 Fun-Fitness categories are for “regular”- K2 or Rollerblade- type skates only (Soft boot Higher than the ankle,3-4 wheel skates). 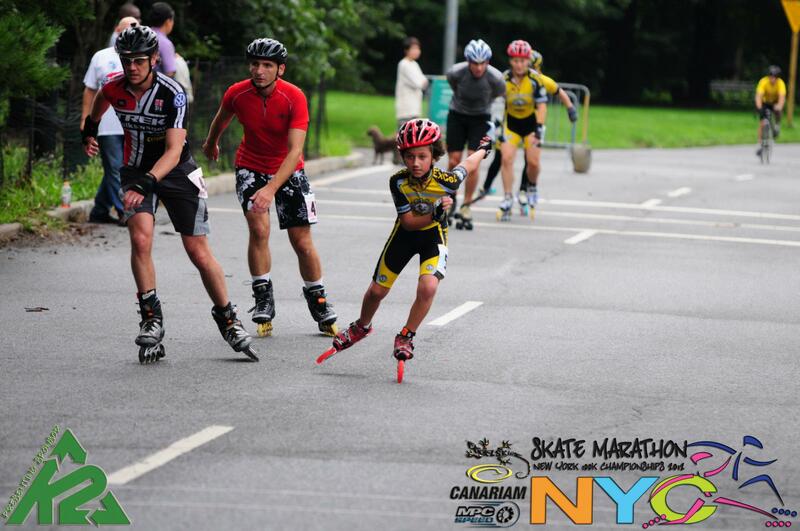 Sport, Pro/Elite, and Elite Youth categories are for all speed skates (all 5-wheelers, racing quads, other racing skates). 5K Rec/Advanced Youth - 12 and under ONLY, NO AGE BREAKDOWN ON THIS DISTANCE. •Hundreds of Merchandise Prizes Raffled for free among all participants. -Medals for age group winners. -Finisher medals for all finishers.